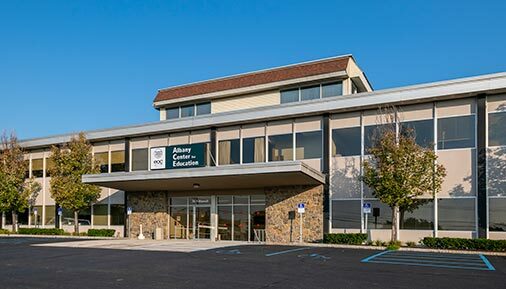 Sponsored by Hudson Valley Community College, the Capital District Educational Opportunity Center (EOC) has offered courses at 30 North Russell Road in Albany for several decades. Earlier this year, Hudson Valley determined it was a prime location for credit-bearing courses as well as credit-free career training options through its Workforce Development Institute. Now known as the Albany Center for Education (ACE), the facility houses the majority of Hudson Valley’s educational offerings in Albany under one roof. In addition to EOC programs like English as a Second Language and Certified Nursing Assistant training, ACE now offers college-level courses such as Business Law, English Composition and General Psychology. ACE provides ample space for expanded off-campus educational opportunities, and the college plans to build linkages between the students taking pre-college courses through the EOC and the college-level and career-training courses offered on site. WHEN: Tuesday, Oct. 30, 2018 at 10:30 a.m.